Do you want to reduce flies in your poultry pen? 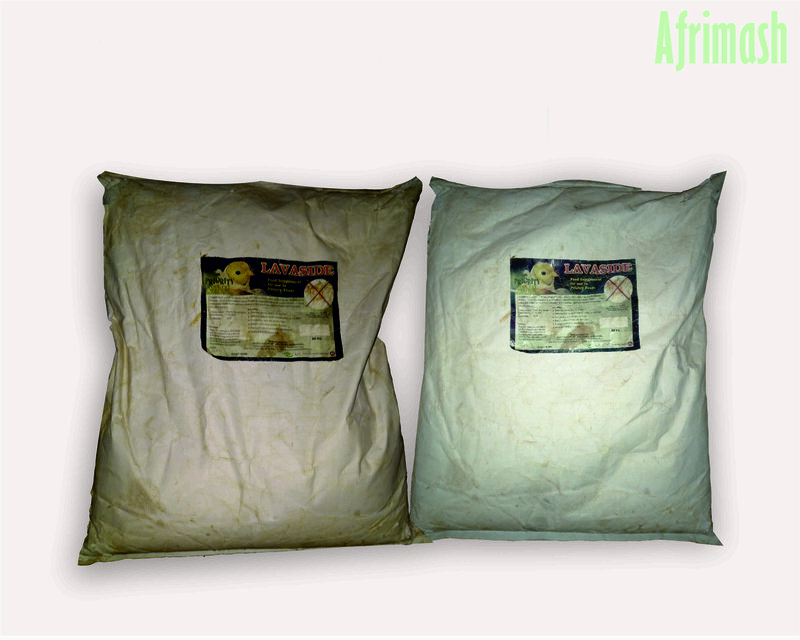 Do you want firm and dry poultry manure? Lavaside will help you achieve these and more. 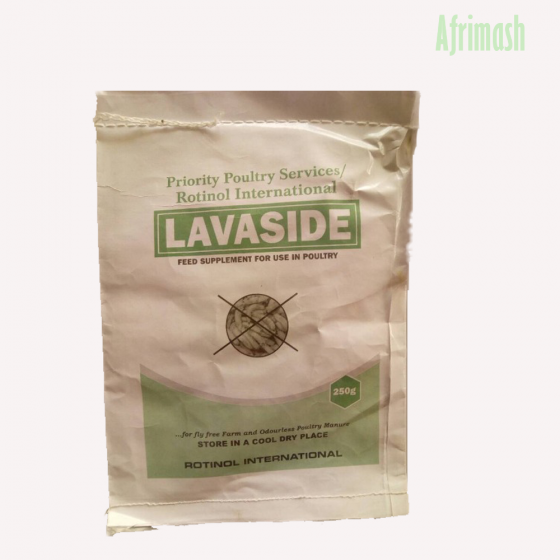 Lavaside is a poultry feed supplement which controls certain species of the House Fly (Musca Domestica), Black Soldier Fly (Hermetia Iliucens), Lesser Housefly (Fannia Canicularis), Stable Fly (Stomoxys Calcitrans), and also fleas (Siphonaptera spp) which may develop in poultry manure. It reduces the nuisance of fly and larvae in poultry pen. It ensures a firm and dry poultry manure. Also, it reduces bad odour on the farm. Mix 250g-500g to a ton of poultry feed every day for 4-6 weeks regularly or until the fly population is under control. Then discontinue until fly population increases again. Afrimash is just the best. At Milky Way, we provide the best veterinary pharmaceuticals and products sourced from top manufacturers and importers. Our products are well adapted for improved livestock productivity as well as ease management practices in the farms. Our products are available for shipping nationwide.